15 Minutes of Fame is an innovative organization that allows hundreds of composers to get their music heard. The group commissions one-minute-long compositions, which are compiled into one 15-minute-long work. On appropriately, October 15 at the Albert Wisner Public Library in Warwick, the Maybrook Flute Quartet will perform the world premiere of a new (unnamed as of this posting) work commissioned by 15 Minutes of Fame. “This idiosyncratic format not only gives numerous composers exposure; it also brings modern chamber music to audiences who otherwise would not hear it,” says Maybrook Flute Quartet member Ken Korn. 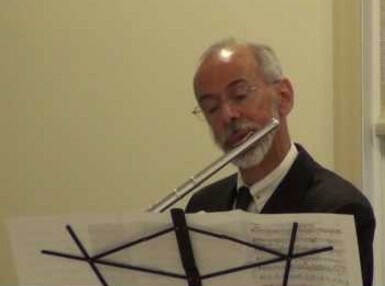 The Maybrook Flute Quartet will perform at the Albert Wisner Public Library in Warwick, New York, on October 15 at 2pm. In addition to the world premiere of a new 15 Minutes of Fame selection, as well as works by Mozart, Rodgers, and Ellington at the recital. The concert is free. For more information, call (845) 986-1047 or visit http://www.albertwisnerlibrary.org/.